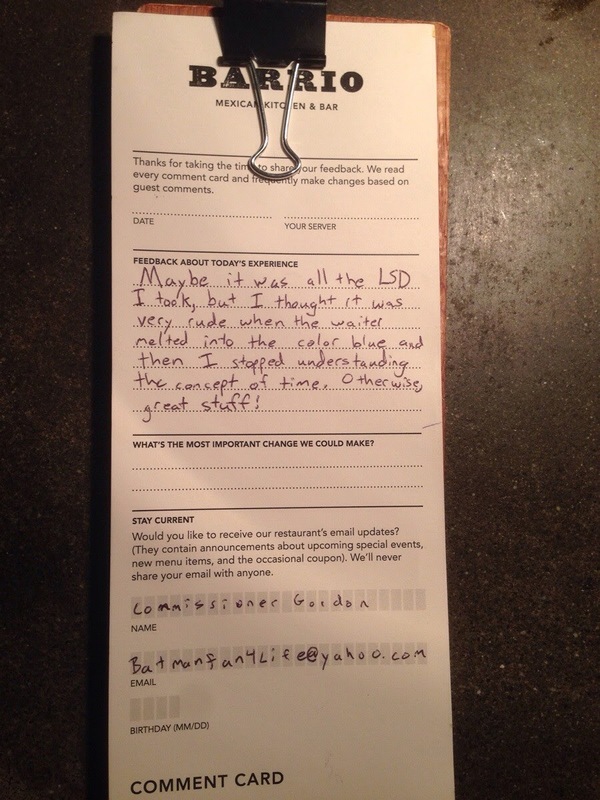 Many restaurants provide their guests and customers with comment cards in the event that they wish to write a feedback on their dining experience. Restaurants use these to learn what their customers want and how they can improve their services. It's not surprising at all that some customers use these comment cards to humor the restaurant owners and staff. Take for instance this diner at the Barrio Mexican Kitchen & Bar in Seattle, Washington who left positive comments but wrote it in a way that'll put a smile on your face.